Neonatal herpes simplex is caused by vertical transmission of herpes simplex virus from mother to newborn. These infections can result in serious morbidity and mortality. It is characterized by external lesions but no internal organ involvement. Babies born to mothers with primary genital herpes infections at the time of birth are considered generally to be at highest risk. Neonatal herpes manifests itself in three forms: skin, eyes, and mouth herpes (SEM) sometimes referred to as localized, disseminated herpes (DIS), and central nervous system herpes (CNS). SEM herpes is characterized by external lesions but no internal organ involvement. Lesions are likely to appear on trauma sites such as the attachment site of fetal scalp electrodes, forceps or vacuum extractors that are used during delivery, in the margin of the eyes, the nasopharynx and in areas associated with trauma or surgery DIS herpes affects internal organs, particularly the liver. CNS herpes is associated with highest morbidity. 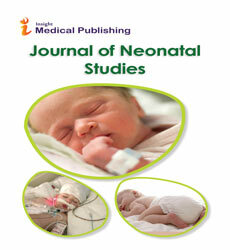 Journal of Neonatal medicine, Journal of Neonatal Studies, Journal of Neonatal Biology,Neonatology.